All structure made out of Mild steel with powder coated. Flooring is made out of GI sheet. Perforatted Flooring option is also available.We are leading manufacturer and trader of Two Tier Mezzanine Floor and our product are made up of good quality. We are well-established manufacturers and suppliers of a wide range of Two-Tier Racks. 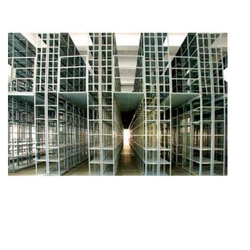 Two Tier Racks are designed using best grade raw materials and in accordance with industry standards. We also provide Two Tier Racks in different specifications, which can be customized as per the requirement of our clients. 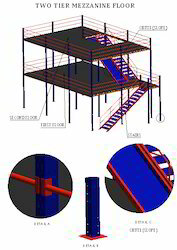 Looking for Two Tier Mezzanine Floor ?